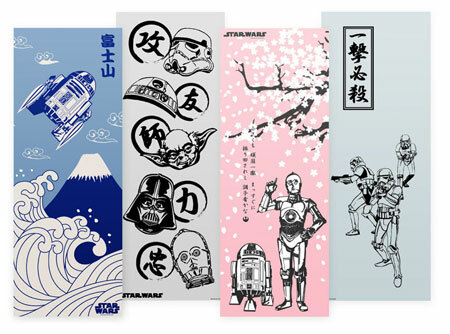 Something uniquely Japanese, but with a distinctly retro twist – the Star Wars Tenugui banners. Think of them as either banners or wall art, made of cotton and created individually by the traditional Japanese Nasen dying process. The themes have a Japanese twist too, with each one placing Star Wars characters in the context of that country – R2-D2 flying near Mount Fuji and droids hanging out under the Sakura tree for example. Each Tenugui is sized at 13.4 x 35.4 inches and sells for $19.99 (around £10).